What is Concrete Sealer SV28? 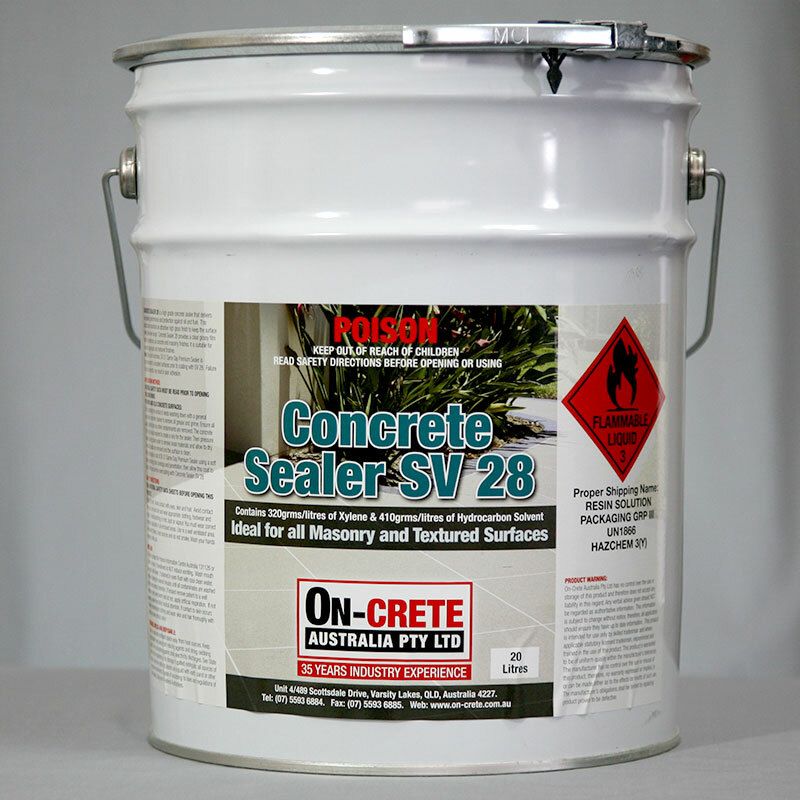 Concrete Sealer SV28 is an acrylic solution that produces a hard, yet flexible and clear film. It exhibits excellent durability, clarity and colour retention, has excellent grease, water, and alkali resistance, and contains a UV Absorber that improves protection from ultraviolet light. Concrete Sealer SV28 is recommended for use in a wide variety of applications, including concrete and masonry protection, clear and pigmented sealers, coating of interior and exterior surfaces, and protection of all decorative masonry surfaces. Protect your concrete and masonry surfaces against the elements with Concrete Sealer SV28. For more information or to obtain a free quote, just fill in the form below or call the team at On-Crete today on 07 5593 6885.